In one word: Awesome! I have learnt a lot, and teachers and admin are very cooperative. Q1: Please tell us about yourself ? A1. Although I have worked abroad and locally in top companies, I wanted to move to digital marketing. Currently, I am working on my own venture of leather goods and also have started a health blog. Q2: Why you decided to pick IDMPakistan for digital marketing training? A2. 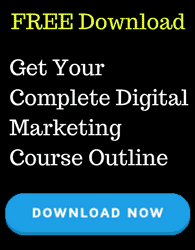 I had taken online marketing courses from coursera but wasn’t satisfied as I could see the depth that digital marketing has. Once, I came across the IDM ad on fb. I then looked at the course outline of IDM and then I knew the benefits of courses that IDM is offering are way more than the price IDM is charging. So, took admission. Q3: How has your journey been with IDMPakistan? Please share your experience? A3. In one word: Awesome! I have learnt a lot, and teachers and admin are very cooperative. As many courses are very in-depth, the student who intends to practice a course like SEO, Adwords, Social Media Marketing, etc. will leave focus on other courses. So many classes get missed. 1. Individual course should be offered so professionals can enroll in one course at a time. This will offer more time for practice and teacher can also complete the course easily here. 2. Entire course-pack should be offered to those who are free or are students. These students should be asked to bring up an idea and start a new venture. First course should be web-development and then SEO and then others as per the start-up needs. Develop systems and track progress. Q5: Will you recommend IDMPakistan to others? A5. I already have recommended to many. Thanks for launching the venture. Q6: Please describe IDMPakistan is one line? A6. Not sure of IDM’s vision, but if continued and improved, it can play vital role in shaping digital landscape of Pakistan.